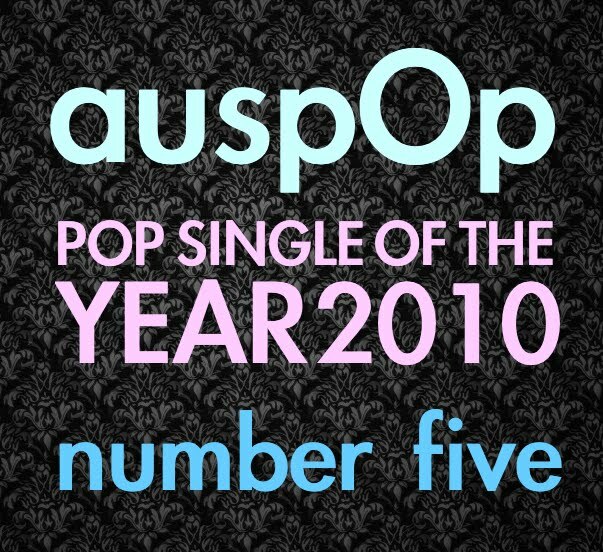 A relatively late comer to the 2010 pop proceedings this one, but we have the sneaking suspicion that it’s going to be all over summer radio in the weeks ahead as it climbs ever higher on the digital charts. ‘Happiness’ is the debut single for 18 year old former America’s Got Talent contestant Alexis Jordan and came humming into our life on a bed of ‘hurry hurry hurries’ and ‘quick quick quicks’, a message of part regret, part positivity and a rather lovely chorus as the icing on the cake. And not forgetting that superb bed that’s almost 100% provided by Canadian DJ Deadmau5 and his track ‘Brazil (Second Edit)’. Co-written and produced by the same peeps behind Rihanna’s ‘Only Girl (In The World)’, just one listen to this in the last couple of months and we had succumbed. We were instantly hooked on happiness. 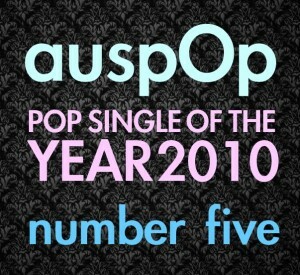 Ladies and gents, it’s our number five top pop song of 2010. Alexis Jordan with ‘Happiness’. This song has me torn… Yeah, it’s a hit.. but feel somewhat torn between this and the song that could have been… Kylie Minogue – Change Your Mind. Same Deadmaus backing track. Still blows my mind that it was passed on or up by Ms Minogues team. Great! I Love this song at the moment. You just love dance pop, eh!